That aside, neo-hippie folkster Sam Beam appeals to Zach Braff and I guess he appeals to me, too. The Shepherd’s Dog is pretty, unlike that fucked-up looking Excorcist mutt that’s crudely splattered on the album’s face, (which is just false advertising,) and very keenly aware of how pretty it is. This being Beam’s first real recorded foray into the group dynamic, Beam’s presence is never lost in the rich and layered music behind him. Iron & Wine is all about Beam’s lush guitar work and that gentle voice of his. And let’s not forget his cast of characters that include boys with coins, men with pristine veneers and birds (ironic, but symbolic) that can’t fly. Honestly, Iron & Wine is too harsh a name. How ‘bout Gladiolas & Wheat Beer? Throwback personified, Beam is a folk-based storyteller. His almost Dylan-esque gift for prose is captivating in that it feels like streams of consciousness. You’re never quite sure about what’s going on in a lot of the songs but the imagery is vivid enough that it’s excusable: ”Every morning there were planes, the shiny blades, of pagan angels in our father’s sky/Every evening I would watch her hold the pillow tight against her hollows, her unholy child.” No, I don’t necessarily know what it means, but I like how it flows. Besides, in an altered state, maybe I’d get it. The album itself is heavily woven with slide guitar and bongo percussion. Other elements poke through the folk afghan as well: saloon-styled piano, sitar and banjo to name a few. The aforementioned “Pagan Angel And A Borrowed Guitar” opens the album up, perfectly summarizing the country/folk/psychedelia that’s explored herein and allows the tempo to slow up a bit for “White Tooth Man,” which further expands on the more psychedelic aspects of the album. With sometimes light and fluffy (“Lovesong of the Buzzard”) compositions going into the altogether atmospheric and maybe sad (“Carousel,” “House By The Sea”), Beam takes a cue from David Essex (“Rock On”) and dub reggae maestros for “Wolves (The Shepherd’s Dog).” One of the more exploratory, yet simplistic, tracks on the album, Beam manages to adjust his stilo enough to incorporate Jamaican rhythms and dub effects, but maintains the prevalent elements in his sound. As far as adaptability, it’s smooth. It took me a while to realize that this song was a reggae track, as it blended so well with everything else Beam pulled together. Album single, “Boy With A Coin,” is an earnest and captivating track. Taking a break from the album’s reliance on bongo percussion, Beam switches to claps and (possibly?) hand drum, layering a wonderful acoustic sound on lightly distorted electric strings. It’s one of the more accessible songs on the album, but also one of the more heartfelt. 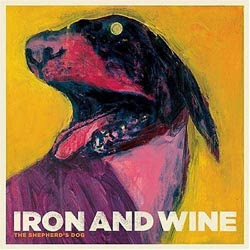 Otherwise, Iron & Wine’s The Shepherd’s Dog is told like quintessential folklore, based in 60s era folk, but modernized. It doesn’t feel old, but it borrows a lot from blues masters, Dylan-era beat acoustic musings and psychedelic noise-ology (invented a term for lack of better one came to mind.) Beam has a distinctive and genuine voice and The Shepherd’s Dog has basically turned Iron & Wine into a certifiable band…Excorcist mutt and all. Gah, what is it you have against Garden State and its soundtrack? As for calling the shins casualties of it if anyhting it brought them the notice they deserved and brought them some commercial success. Yes virginia, you are a music snob. Yeah, you're right: The Shins got notice and they probably sold a ton of records because of it. They also got associated with one of the worst onscreen fanboy moments ever, which is probably going to become one of those "what were they thinking?" 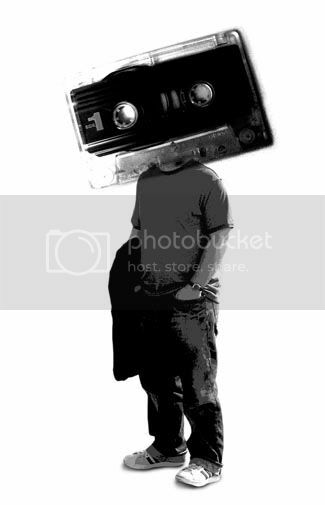 clips on VH1 years from now. It'll be up there with Vanilla Ice trying to convince himself and an interviewer that "Ice Ice, Baby" didn't sample "Under Pressure." Either way, I dug the album.